On the height ”Varen” (“The Cairn”) a bit west of the church in Gamvik lies the ruins of the fortress HKB 4/480. 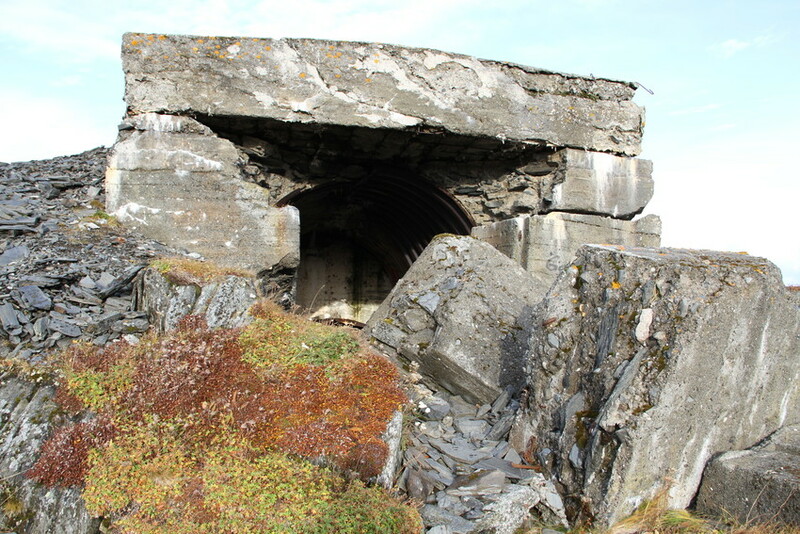 It was part of Nazi Germany’s “Atlantic Wall”, and held a strategic position near the shipping lane to Murmansk and Kirkenes. The local population was forced to participate in the construction work, which was concluded in January 1942. The fortress was armed with light and heavy artillery, and the positions were connected by a range of bunkers and trenches. The fortress was manned by 135 German and Austrian troops until evacuation in October 1944.